Mass Shooters Don’t Have An Escape Plan, Do You? 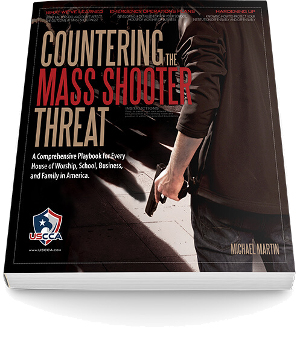 Countering the Mass Shooter Threat is a comprehensive playbook for every house of worship, school, business, and family in America. Author Michael Martin dives into the data of 48 mass shootings to determine what can be learned from these tragedies and how following a comprehensive plan can help you to not only avoid becoming a victim, but eliminate the presence of these shooters once and for all. 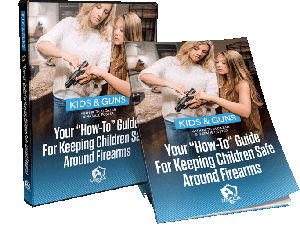 Studies show that kids who are sheltered from guns are 75% more likely to misuse them… Don’t put your child at risk by leaving them vulnerable and uninformed. You know that every kids need guidance, protection, and education…and that it’s your responsibility to provide them with an understanding of what can cause them harm. And your focus on safety only intensifies when you keep guns in your home or carry concealed. 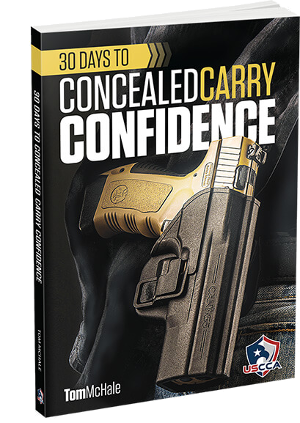 30 Days To Concealed Carry Confidence will be your blueprint to becoming a better protector of your loved ones. The key is our system of manageable goals, expert guidance, and daily drills you can do at home or at the range. This isn’t pages and pages of technical manuals and jargon…it’s proven, manageable training. You’ll make small, sustainable changes every day…that will lead to huge, lasting growth. Give yourself 30 days and you’ll walk away an informed, confident, situationally aware guardian for your family. Do you know how to rapidly address the penetration wounds of a bullet, knife, or debris? When the ambulance is on it’s way, the seconds that tick by are sometimes the crucial difference between life and death. 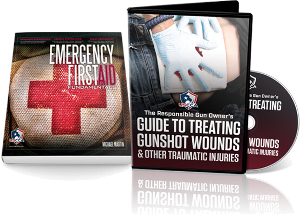 In The Responsible Gun Owner’s Guide To Treating Gunshot Wounds and Other Traumatic Injuries & Emergency First Aid Fundamentals, you’ll follow along with Kevin Michalowski, Executive Editor of Concealed Carry Magazine, Anthony Lambert of ACT Training, and Chief USCCA Instructor Michael Martin through the essential steps of trauma care. Men and women differ in just about every way. It’s important for you to train and prepare yourself at a rate and level that is comfortable for you. 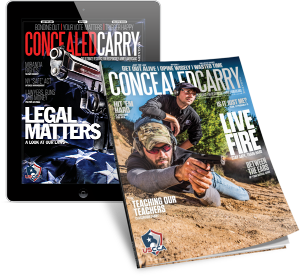 And if you’ve decided to carry concealed (or even if you’ve just thought about it…) then you’ve probably already encountered the overwhelming and sometimes confusing task of choosing the firearm, holster and carry method that’s right for you. 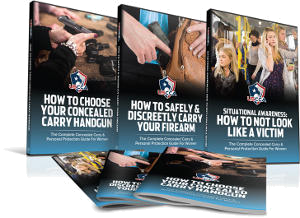 Avoid the frustrations of time-consuming trial-and-error and empower yourself with the training you need to avoid spending countless dollars on a drawer full of gear and holsters that aren’t quite right. With this 3-Part Training Series made for women, by women you’ll uncover the secrets to becoming a motivated and confident woman in the world of firearms. No more unanswered questions, no more guessing, and no more intimidation. Site Designed By VISKA Consulting LLC - Copyright © 2014 - 2018 Level 5 Combat Systems Ltd.